The PTO Graveyard: Is Your Company Falling Victim? 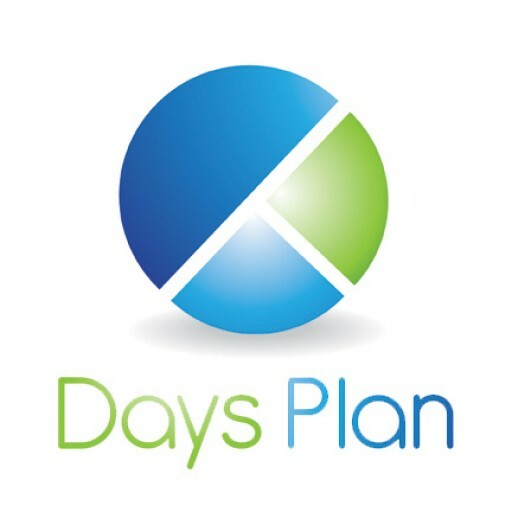 - DaysPlan, Inc. The PTO Graveyard: Is Your Company Falling Victim? We love vacation. Almost every employee, regardless of position, believes taking time off is important for their productivity, morale and wellness, yet in the last 16 years, Americans have been taking less and less time off from work. According to the Society for Human Resources Management: Project Time Off Study, 4 in 10 Americans consistently fail to use all of their time off. Prior to 2000, American workers took an average of 20.3 days off per year. As of 2014, the average was just 16 days off per year and continuing to decline.1 If we love vacation so much, why are we taking less of it? For many, the year 2008 marked the beginning of a decline in the American economy and what followed has been termed the “Great Recession”. As a result, companies adopted a very lean business plan and the “do more with less” culture. The impact on employees has been nothing short of painful and bad for their health. Workers put in longer hours and sometimes have a work load that used to be done by three people. There are never enough hours in the day to get everything done. This never-ending cycle of work, more work and all work with no time off leads to increasing cases of chronic stress related conditions. Even when employees have paid time off available, they are leaving it on the table because they have so much work that needs to be done. But that’s not the only reason employees don’t use all of their PTO. According to SHRM, 20% of workers cited company culture as their reason for not taking time off. We seem to have created workplace cultures where not taking vacation time is worn as a badge of honor. Vacation shaming has become a common practice in many workplaces. Sometimes this is because leaders do not encourage taking time off or they don’t say anything about it at all leaving employees with a question mark. Leaders also set the double standard expectation of checking messages and answering calls regardless of whether it’s on the beach or in the office. These leaders are setting the example that their employees will follow and it is a bad example. But, just how bad is it? We all have some type of stress in life, but there are two main types of stress: acute stress and chronic stress. Acute stress is the reaction we have to an immediate threat, commonly known as the “fight or flight” response. Acute stress can be intense, but is fleeting. Once the threat is gone so are the stress hormones. However, chronic stress is what most of us encounter on a daily basis. Chronic stress is the non-stop elevation of the stress hormones adrenaline and cortisol.2 These hormones in small quantities help us survive in dangerous situations. But, too much can be a very bad thing for both individuals and the companies employing them. In addition to contributing to poor memory, inability to concentrate, mood swings, and feelings of anger, frustration, worry and fear; chronic stress impacts the brain’s ability to function. Time away from work allows employees to de-stress and bring their hormones back into balance. When they return to work, they can achieve greater results, be more productive and have a better attitude. As an added bonus, when employees are allowed to take time off, they also have better wellness outcomes which reduces health care costs and absenteeism rates. It seems like a no brainer that time away from work is better for everyone. Make sure your time off policy is clearly and effectively communicated to everyone in your company. Encourage managers and leaders to support and empower employees to take all of their allotted time off. Leaders should follow their own advice. Consider adopting a “use it or lose it” policy to mandate that employees take some much needed time to recharge. Don’t cash out unused PTO at the end of the year. Use DaysPlan to make it simple for employees to request time off and easy for managers to track and administer balances.